So far, 241 cities and counties have either approved some type of cannabis business ban or have one pending, according to the marijuana consultancy Sugarleaf Productions. 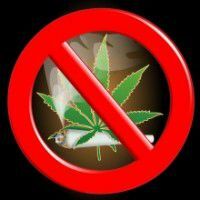 That includes 20 of the state’s 58 counties and 221 of its 482 municipalities, leading some locals to dub the trend “banapalooza.” Some of the bans include well-known areas such as Napa Valley, Los Angeles County, Santa Barbara and Sonoma. The problem started late last year after the legislature approved the Medical Marijuana Regulation and Safety Act (MMRSA), a set of laws intended to set up a statewide regulatory system for MMJ businesses. Fortunately, state lawmakers abolished the deadline last week, so there is no rush for cities and counties to make decisions. As of now, though, hundreds of local governments have laws on the books banning the industry. McGowan estimated that 40% of the bans she’s tracked were written in such a way as to invite future tweaks, and they aren’t necessarily intended to be permanent. But it’s far too early to tell how much the wave of bans will shape the industry in the years to come, since the new laws require that all legal businesses obtain both state and local licenses as of 2018. There’s also the question of what will happen if California legalizes recreational cannabis this year. McGowan said her understanding of the legalization initiative backed by Sean Parker – which looks to be at the head of the pack in terms of its chances of making the 2016 ballot – is that it wouldn’t overturn any of the new local bans. It also would allow local governments to pass new rec bans unilaterally via city councils or county commissions, she said. “I don’t think there’s going to be any kind of shortage (of cannabis), because I don’t think the bans are going to stop anyone. I think we’re going to have a thriving black market,” McGowan predicted. “It might take a couple of years, but it’ll change,” Metcalfe said. For his part, he expects a bevy of lawsuits to light the way through local bans, but he added that there are simply too many unregistered businesses for new bans to have a serious impact on the industry. In San Clemente – south of Los Angeles, where Metcalfe lives – he estimated that there are 200 MMJ delivery services in operation, none of them registered or legal. Another example is Nevada County, to the northeast of Sacramento, which is home to between 5,000 and 10,000 growers who cultivate medical cannabis for dispensaries, MMJ delivery services and infused products manufacturers, McGowan said. “That is their economy,” she said. And yet the board of county supervisors there voted last month to prohibit all outdoor cannabis cultivation. One of the central problems with the wave of bans is that California is an enormous state, and there aren’t enough activists to fight off bans at every local governmental level. So what needs to happen, McGowan said, is that anyone with a stake in the cannabis industry needs to get involved and help stem the tide. “Any and every stakeholder in one of these cities and counties that hasn’t enacted a ban needs to get to the table,” McGowan said. Khoja agreed, saying the future of California’s MMJ industry could be much smaller than it is today because of the bans and the question of where cannabis businesses will be able to locate. If enough of the bans remain in place, that could leave just a select few areas in the state where grows and dispensaries are allowed, and those areas could fill up rather quickly.